An immediate annuity is an insurance contract that begins systematic income payments of principal and interest from inception – or a predetermined future date. This process is referred to as an annuitization. 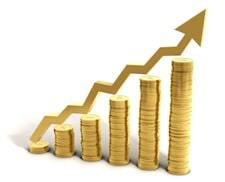 Immediate annuities work very much like pensions as they generate a reliable stream of income for the owner(s). Income payments can be setup for a specified period of years, a lifetime or both. We work with several carriers and will help you find the products providing the largest income stream for your situation. Times have changed – few employers provide guaranteed pensions and the stock market has been extremely volatile. In response, investors are allocating portions of their retirement dollars to annuity accounts in order to setup a guaranteed future income stream. Buying income and investing the difference can offer a stable retirement. These accounts are primarily used to provide regular income payments now and in the future – and oftentimes for the life of the insured(s). Annuities are valued for their safe and insured guaranteed interest returns. Very few products offer the stability and peace of mind afforded by fixed, indexed, and immediate annuities. How Do Annuities Work To Create Income? In most cases, the annuity will be funded with a lump sum either from a retirement account or other liquid asset. Systematic payments are determined by a few different factors including: age, number of insureds, payment schedule and income needs. They can be tailored in many different ways to suit the owner(s) preferences. There are several ways to annuitize the funds and many accounts provide flexibility before and during the payment cycle. Some immediate annuities are setup to make payments for a lifetime while others are only established for a guaranteed number of years. Accounts can be established for single or joint owners. Payments can be taken monthly, quarterly, yearly, etc. Investors should also be aware of annuity income riders that can be attached (usually at cost) to most fixed and indexed annuities. These investments are a little different than what is described above. You can learn more about income riders here. What Happens To Income And Principal At Death? It depends on the type of annuity contract purchased. Some annuities continue to make payments to a spouse or beneficiary if the owner dies. Others provide a refund of unused principal to the named beneficiaries. The only contracts that make no further payments at death are Life Only annuities. Many immediate annuities are established with what is called a “period certain.” This means the account that will make payments for a guaranteed numbers of years. After the term is up, the annuity will have paid out all principal and interest. If the owner passes away before the period certain was met, then the remaining payments would continue on to the policy’s beneficiary. A period certain or installment refund option will assure that the entire deposit is paid out either to the owner(s) or the named beneficiaries. The commonly told myth that the insurance company keeps all residual funds at passing is untrue. A life annuity with a period certain is most commonly purchased. This option provides interest payments for the life of the owner(s). If death occurs before the period certain has been reached, then the remaining account value is paid to a beneficiary. This guarantees the return of principal and interest while also establishing a lifetime income stream. For example: If a life annuity with a 20 year period certain is purchased, then the annuity will make payments to the owner or named beneficiaries for a minimum of 20 years. After 20 years, the annuity will continue to make payments to the owner(s) for their lifetimes. In this example however, no payments would be made to the beneficiaries if death occurs beyond the 20 year period certain. The most aggressive (and perhaps least common) annuitization method is the life annuity with no period certain. This option will offer the largest systematic payments to the owner, but no guarantees to any beneficiaries at passing. This option guarantees payments to the owner(s) only, but no one else. Several insurance companies offer inflation protection on the future stream of income. If desired, you can purchase a plan offering an inflation rider – usually 2%-5%. Others can grow the based on the Consumer Price Index. Some annuity income riders allow for income growth based on the performance of certain market indexes. Bu future payments can and will grow even after income payments have begun. Usually the larger the guaranteed growth percentage (5% over 2%), the lower the initial payments. Conversely, if income growth is not guaranteed and tied to market index or CPI growth, then the initial payouts are larger. It’s entirely up owners as to which methods best fit their investment needs and goals. We can illustrate both. Not all annuity accounts start income right away. In fact, many will defer income for months or several years in order to allow the principal to grow further and the payments to be larger. These insurance contracts are called deferred income annuities and are often used to create guaranteed income during retirement. Some will provide flat income streams while others provide increasing income year over year based on inflation metrics or movements in certain indexes. These investments are growing in popularity with groups as they allow for market diversification and stable growth. Deferred income annuity accounts serve many purposes based on the safe and insured future income they will provide. In other cases, immediate annuities are purchased to provide creditor protection from a lawsuit or to avoid Medicaid recapture. An immediate annuity can also be funded as part of a structured settlement in order to setup reliable income for an injured party. Additionally, immediate annuity accounts are often used in conjunction with a structured sale to spread out realized capital gains taxes in large property or investment sales. However, their most common use is simply to provide income during retirement. We work with several highly rated and well capitalized insurance companies to provide the most competitive income returns and illustrations. Depending on your needs, we can recommend the appropriate policy type for you and your family.